Bundle 32 Pack - 18" Stakes - Free Shipping - Inflatable Repair and Supply, Inc. 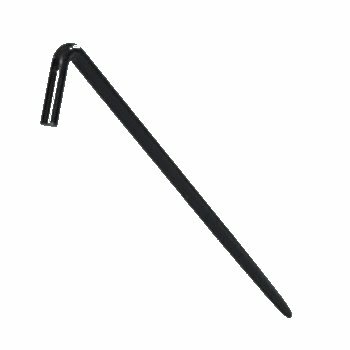 Bundle Pack of 32 18" Hook Top stakes. Free Shipping! While supplies last. Hogan Brand 18" x 5/8" high quality steel stakes. Choose the Pickup Option for Free Shipping to your delivery address!